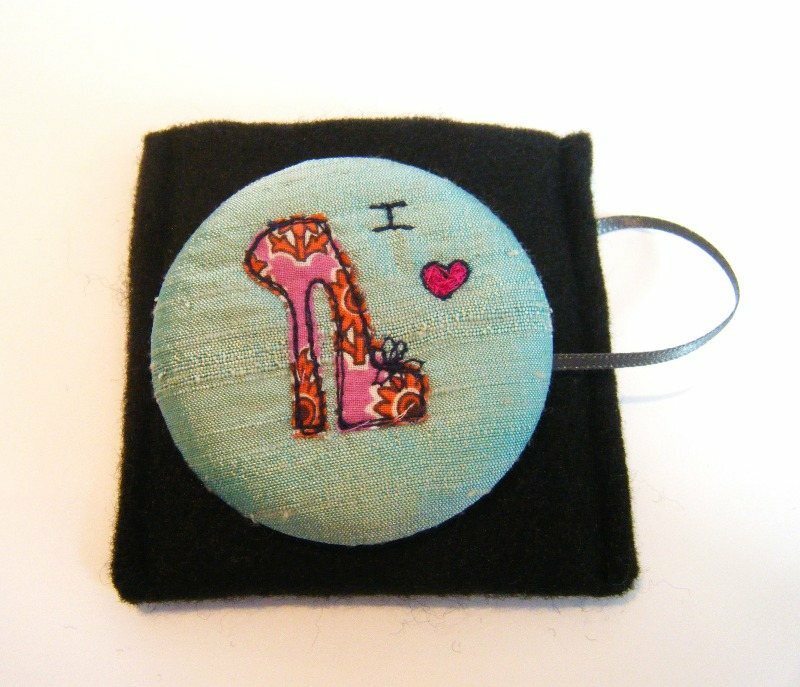 These gorgeous little handbag mirrors are handmade in York by the very clever people at Sumptuosity. 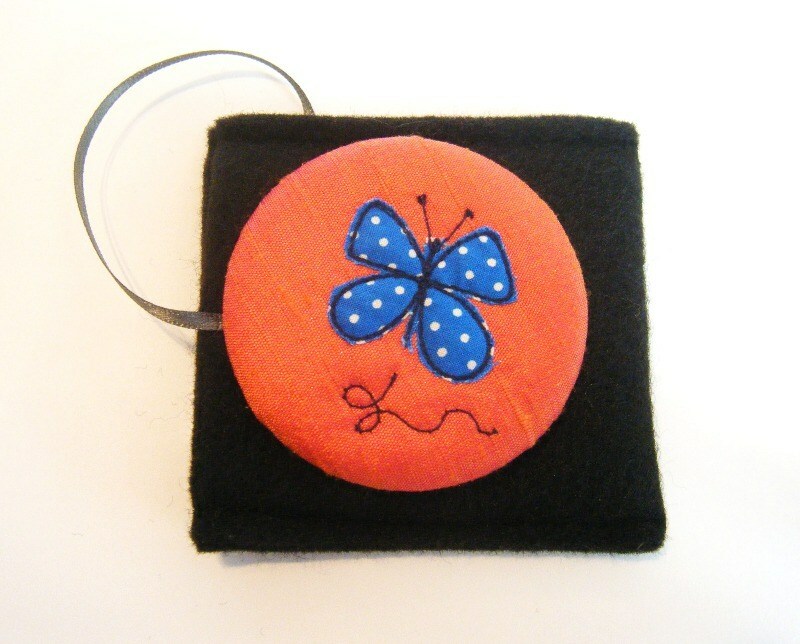 They are made from dupion silk with an embroidered design, and come attached by a ribbon to their own little felt pouch to keep them safe. 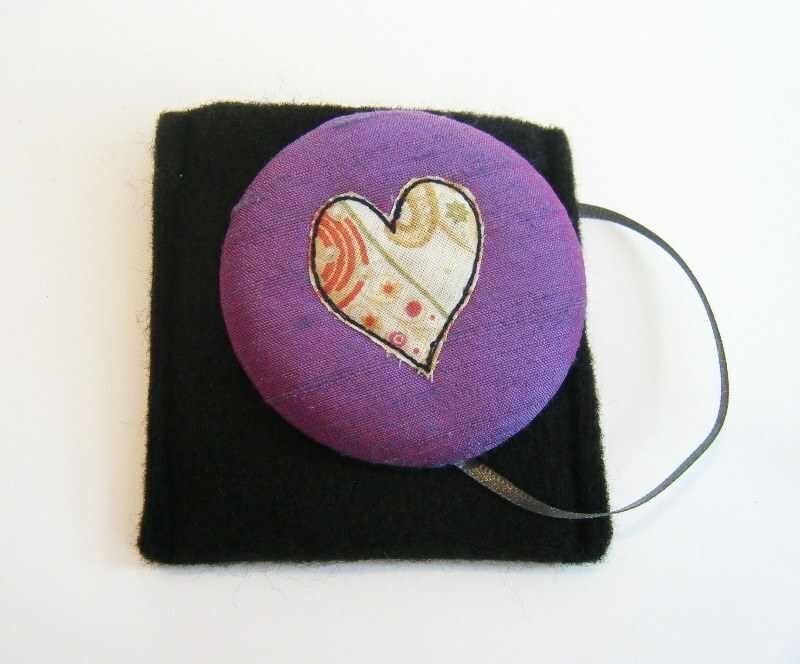 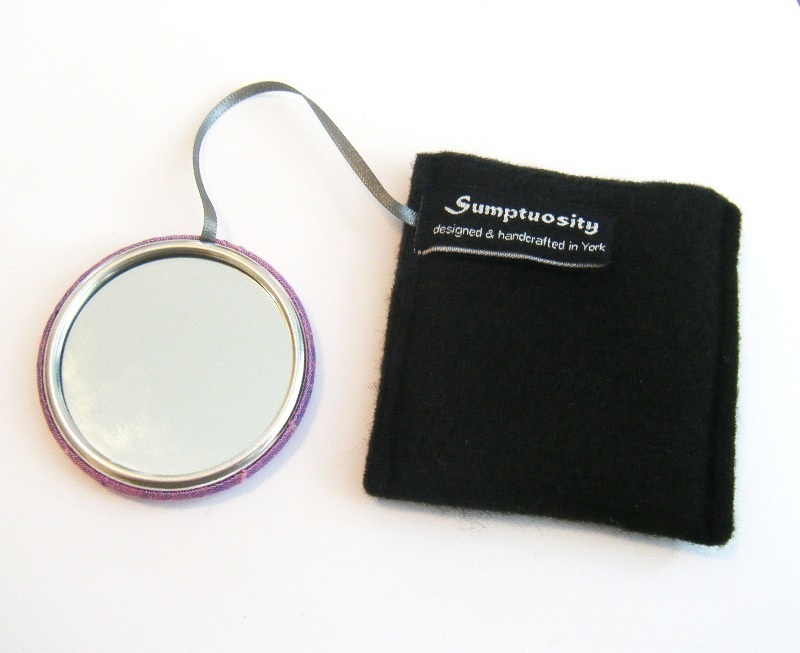 The mirror measures approx 6cm diamter and the felt pouch is approx 7.5cm square. 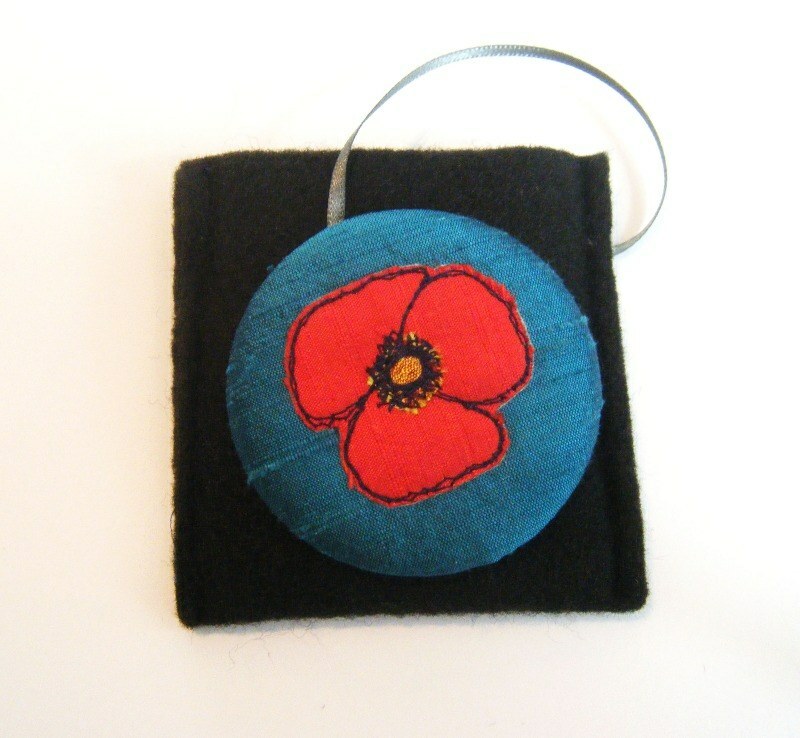 If you are after a particular colour please contact us before ordering to check we have it in stock, and if not to see how long it will take to order.